The National Association of Broadcasters (NAB) is the voice for the nation’s radio and television broadcasters. NAB advances the interests of their members in federal government, industry and public affairs. They encourage content and technology innovation and spotlight important and unique ways stations serve their communities. Every year the NAB Show is where global visionaries convene to bring content to life in new and exciting ways! This year the show will take place on April 6 – April 11, 2019 in Las Vegas, Nevada. 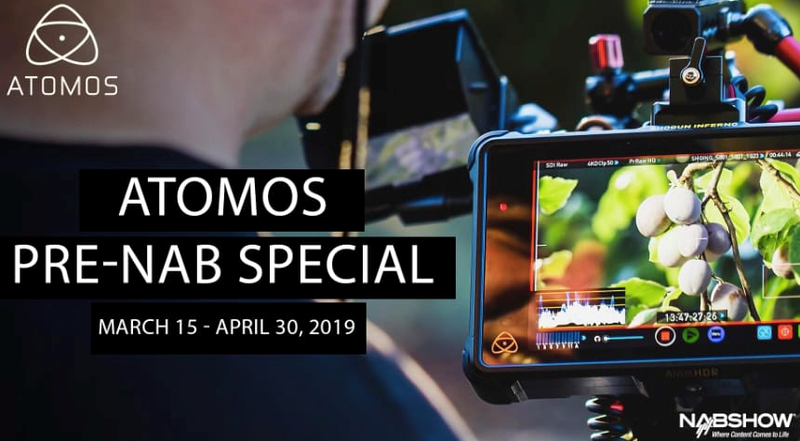 ATOMOS is offering a pre-NAB promotion on Shogun & Ninja Inferno units valid on March 15 – March 31, 2019! The Shogun Inferno is the best of everything Atomos does in a single product; 4K 60p, HD 240p, Cinema DNG Raw recording over Quad SDI connections. Like the Shogun Flame this unit features 1500nit brightness, HDR brightness range and a 10-bit panel with dual battery continuous power on the back. The Inferno adds in PQ in/out so that its not just HDR on the Inferno, the PQ output lets you connect to HDR panels and the PQ in lets you connect from your NLE for grading using the Inferno. Raw to Raw CDNG recording up to 4K DCI/UHD 30p or 2K/HD 120p. CDNG support will also be added to existing Shogun Flame, Shogun and Shogun Studio users one month after the launch of Inferno. AtomHDR. AtomHDR image processing lets you shoot with the high brightness range of your camera’s Log profile while maintaining vibrant true-to-life colors. Conventional monitors lack this capability, displaying the brightness detail of Log but with a washed out image that makes judging exposure difficult. Be at the forefront of the HDR revolution by having a field monitor capable of resolving HDR in the field as you see it in Post Production and record the original Log image direct from the sensor for HDR grading in post production. The AtomHDR engine lets you monitor a post production HDR image in the field on a 7″ calibrated screen. For collaboration on set or in post, connect Shogun Inferno to HDR compatible larger screens, select the desired color space (Rec709, DCI P3 or Rec2020) and see the magic of HDR on larger screen sizes. Use the PQ input to connect from your NLE and use the Inferno as a monitor to grade HDR in Post. 4K 60p & HD 240p Recording. Shogun Inferno combines high resolution recording, high frame rate recording and playback. Record Video from both HDMI and SDI cameras direct from the sensor to 4:2:2 10-bit ProRes or DNxHR up to an amazing 4K 60p or HD 240p. Record Raw over SDI up to 4K 30p either directly to CDNG or record to ProRes or DNxHR. Playback recorded ProRes or DNxHR files via the HDMI or SDI output at the same high frame rates to supporting monitors. CDNG Raw over Quad SDI. The Quad SDI connections offer the widest camera compatibility with 1.5G/3G/6G/12G SDI inputs and a convenient single 12G SDI output. This allows you to connect single link from SD 1.5G, HD 3G, 4K 30p 6G or 4K 60p 12G. Connect any combination of 3G connections up to Quad SDI at 4K 60p. Conveniently link a Quad SDI workflow to a single 12G workflow through the Shogun Inferno which acts as a 4 to 1 converter with 12G SDI and 4K HDMI output from the Quad input. Shop the Shogun Inferno here. The Atomos Ninja Inferno is an HDMI monitor / recorder that accepts 4K signals from both Professional UHD 4K Cameras and DCI 4K Cameras. Its 7″ high-resolution monitor with AtomHDR delivers 10 stops of dynamic range to match 10-bit camera LOG footage. Monitor. 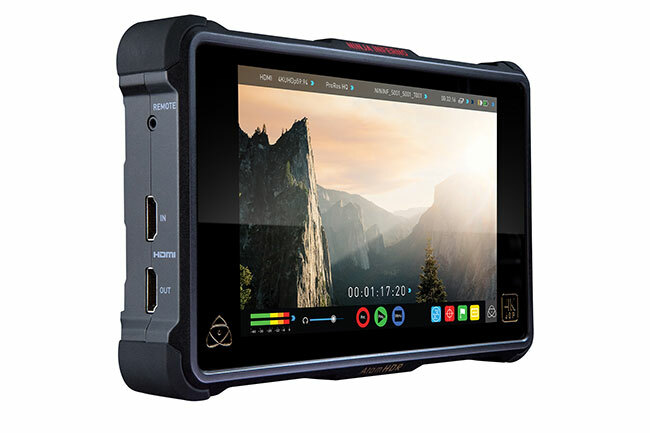 The Ninja Inferno expands on the impressive Atomos Ninja line with a seven inch monitor boasting 1500nit brightness. Apart from being an obvious companion for 4Kp60 cameras like the GH5, the Ninja Inferno is the world’s first HDMI monitor-recorder to accept 4K DCI signals from cameras like the Panasonic GH5/GH4/DVX200/HCX1000/UX180/HCX1, Sony FS7/Z100 and the JVC LS300. The Ninja Inferno can also playout HDR as PQ or HLG to larger HDR compatible screens or feed HDR in as a PQ or HLG signal for mobile HDR grading. Record. Record 4K 60p Apple ProRes or DNxHR on the Ninja Inferno in 10-bit 4:2:2 color accuracy and 24/25/30/50/60p frame rates. Bypass the internal recording limitations of certain 4K 60p 10-bit cameras with this versatile recorder. Auto HDMI start/stop recording trigger from selected Canon, Sony, Panasonic and Nikon cameras and convert interlaced video from your camera to progressive with built-in 3:2 and 2:2 pulldown. Record any HDMI source — including gaming consoles and PCs. XLR Audio. An optional XLR breakout cable with 48V phantom power allows users to connect and power external microphones. Monitor and record up to 8ch of embedded HDMI 2.0 24bit digital audio. Power. 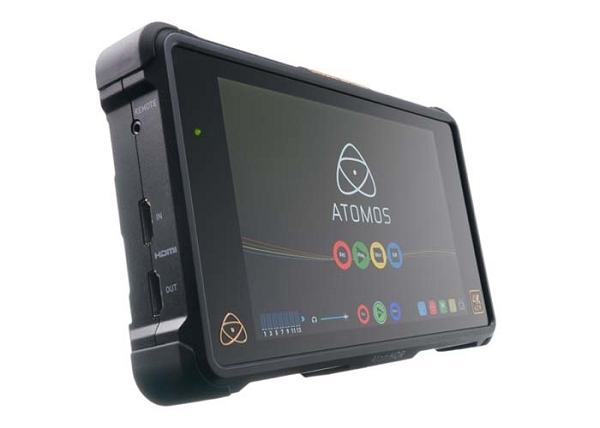 The Atomos Ninja Inferno uses a hot-swappable dual battery system and also features DC mains connectivity. Audio control is simple with dedicated meters and menus to select channels for recording/monitoring and adjustments for frame delay and gain. Have questions? Give us a call at 512-440-1400 to speak with a sales rep today. And shop Texas Media Systems here. The 2019 Academy Awards have officially wrapped up and all the winners have been announced. “Free Solo” took the award for Best Documentary Feature. Want to shoot like an Oscar-nominated film? Well, all five of the Oscar-nominated Documentary features were shot using Canon cameras and lenses. We’ve listed the Canon equipment that the films were shot with and where you can watch these Oscar-nominated documentaries. Renowned free solo climber Alex Honnold has long desired to attempt El Capitan, the 3,000-foot granite rock in Yosemite National Park. Although he wants to begin, Honnold is suddenly plagued by injuries and his friends and family worry for his safety. Nothing can stop him, however, and Honnold becomes the only athlete to make the treacherous ascent without ropes. Where to watch: “Free Solo” will be having its Network Premiere on National Geographic on March 3 at 8/7c. You can find it in select theatres here. The dreams and everyday experiences of friends Daniel and Quincy, and also those of Boosie, the mother of Quincy’s children, are depicted as they go about their lives in Hale County, Alabama. Also explored is the idea of how the Southern African-American experience can be depicted on film. Where to watch: You can rent or buy on YouTube, Google Play, Vudu and Apple. As he films his fellow skateboarders over the years, Bing Liu wonders why so many of them have experienced contentious relationships with their fathers. As he focuses on friends Zack, who is about to become a father himself, and Keire, who is grappling with his racial identity, Liu realizes that he must resolve his feelings about his own abusive childhood. Documentarian Talal Derki returns to his native Syria and gains the trust of Abu Osama, a founder of the Al Qaeda-affiliated Al Nusra Front. Believing in an Islamic caliphate, Abu Osama indoctrinates his sons in his beliefs, sending the oldest two, Osama and Ayman, to a military training camp. The brothers have differing reactions to their training, however, with Ayman longing to return to school. Where to watch: You can stream on Kanopy and rent or buy on Amazon, Apple, Fandango Now and Vudu. Octogenarian Ruth Bader Ginsburg, who was sworn in as a Supreme Court justice in 1993, had spent her prior legal career battling laws that allowed gender discrimination. Supported by her devoted husband, a fellow lawyer, and their two children, Ginsburg becomes renowned for her tireless work ethic, liberal outlook and keen intellect. Where to watch: You can stream with a Hulu or Hoopla subscription. You can rent or buy on Amazon, Fandango Now, Vudu, YouTube, Google Play and Apple. You can shoot like an Academy Award-nominated film with the right Canon gear. Give us a call at 512-440-1400 or shop all Canon here. 0% Lease financing is available on select Canon products. Canon has announced a new kit for the Canon EOS C300 Mark II. And the Canon C300 Mark II Touch Focus Kit is priced at only $9,999! That’s the same price as the traditional C300 Mark II. The new Canon C300 Mark II Touch Focus Kit enables touchscreen auto focus using the 4″ Touchscreen LCD Monitor (LM-V1) that has been shipping with the C200. Also included is the MA-400 XLR accessory, which is a separate XLR unit. Canon spent a lot of time rethinking how the C300 Mark II could be rigged using the LM-V1 Touch Screen LCD and the MA-400 XLR accessory. Using these two accessories instead of the traditional “clamshell” Monitor/XLR unit allows for a more flexible and arguable more streamlined set-up. Additionally, if a user doesn’t need XLR, they can now rig the C300 Mark II with the LCD only for an incredibly small set-up. This also allows easier rigging with Gimbal Stabilizers. And the Top Handle is still included! The LCD and XLR accessory can be configured in many ways with or without the top handle. Pre-order the Canon C300 Mark II Touch Focus kit here. Lease to own financing is available for the Canon C300 Mark II Touch Focus Kit. Apply here or click below. Have questions? Give us a call at 512-440-1400 to speak with a sales rep today. 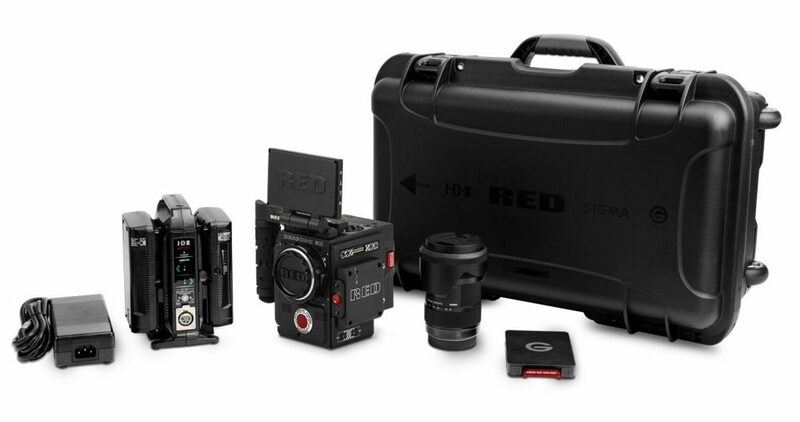 RED has announced the all-new DSMC2 BRAIN w/ DRAGON-X 5K S35 sensor. Take a look! Access to RED’s latest image processing pipeline (IPP2). Don’t worry. In the spirit of “obsolescence obsolete,” owners will have the ability to upgrade to other sensors in the DSMC2 family. With a compact design, the DSMC2 DRAGON-X allows for all-around adaptability under any circumstance. Whether capturing that once-in-a-lifetime moment, creating content for YouTube, or taking part in a “run-and-gun” style shoot, you can harness the performance and power of RAW knowing your camera can go anywhere and won’t hold you back. 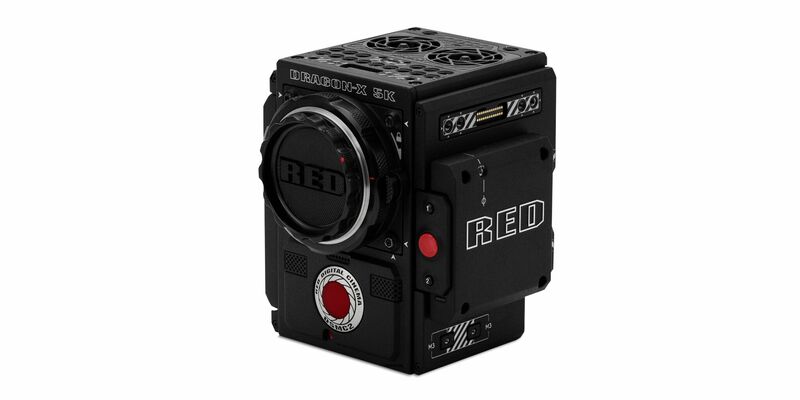 Leasing is available for RED DSMC2 DRAGON-X BRAIN and Kit. Have questions? Give us a call at 512-440-1400 to speak with a sales rep today! SHOT ON RED is your hands on chance to see the DSMC2 Monstro 8K VV, Helium 8K S35 and new Gemini 5K S35. Explore the creative freedom of DSMC2 IPP2, REDCode RAW, HDR, R3D. 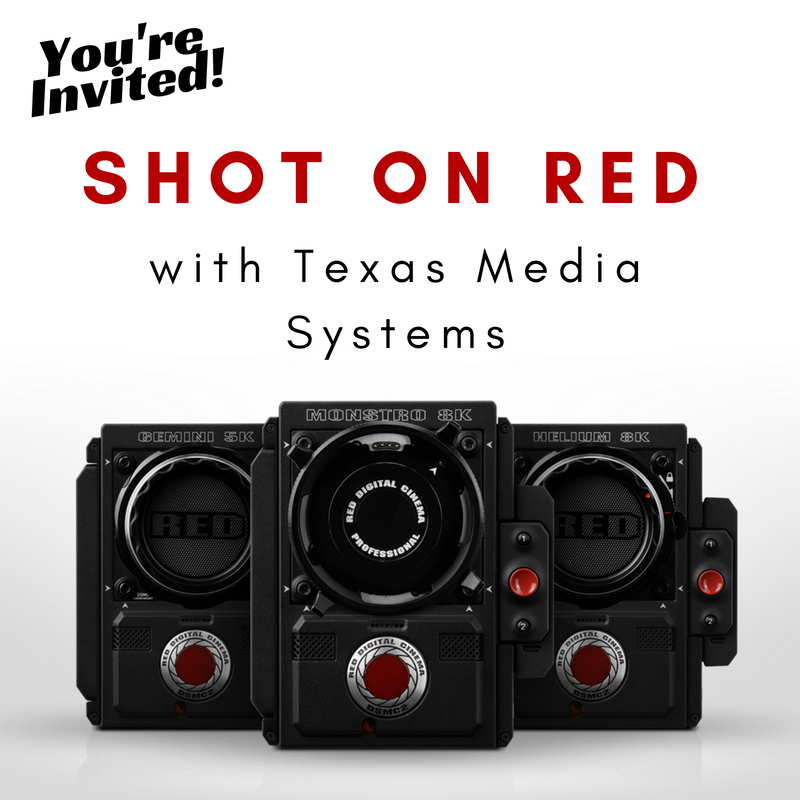 Chat with RED team members and Texas Media Systems! Quench your thirst, enjoy some of Austin’s finest food, and get lucky with some RED Swag (while supplies last). Interested in our RED Leasing program? Apply now by completing the leasing application below. If you have any questions, please contact us at 512-440-1400 to speak with a sales rep today!